Gravity doesn't find access cards/keys, because they are never lost in the first place. 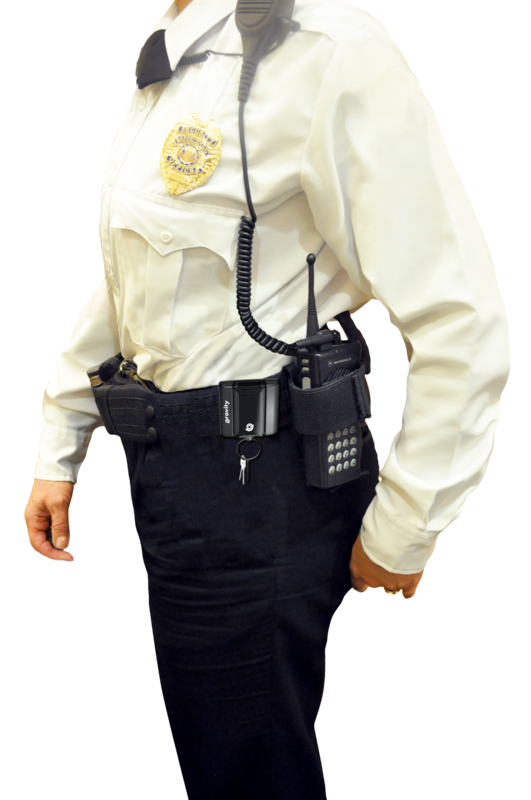 Gravity tethers your cards/keys by using an electronic signal that works as a 5-7 step, mobile barrier around the worker. Upon breaching this radius, Gravity's unique alarm, vibration and strobe light are triggered. The user quickly retraces steps to recover the Key unit, catastrophe avoided! Upon release, Gravity activates. The Key Unit flashes one time, indicating that it is now in radio contact with the Belt Unit. In the event that keys are left behind (5-7 steps), the radio signal strength drops to a certain level which activates a three-way separation alarm. The Belt Unit vibrates and chirps. The Key Unit flashes an LED strobe and sounds an 85 db alarm. Gravity continues to alarm until the Key Unit is re-holstered to the Belt Unit. 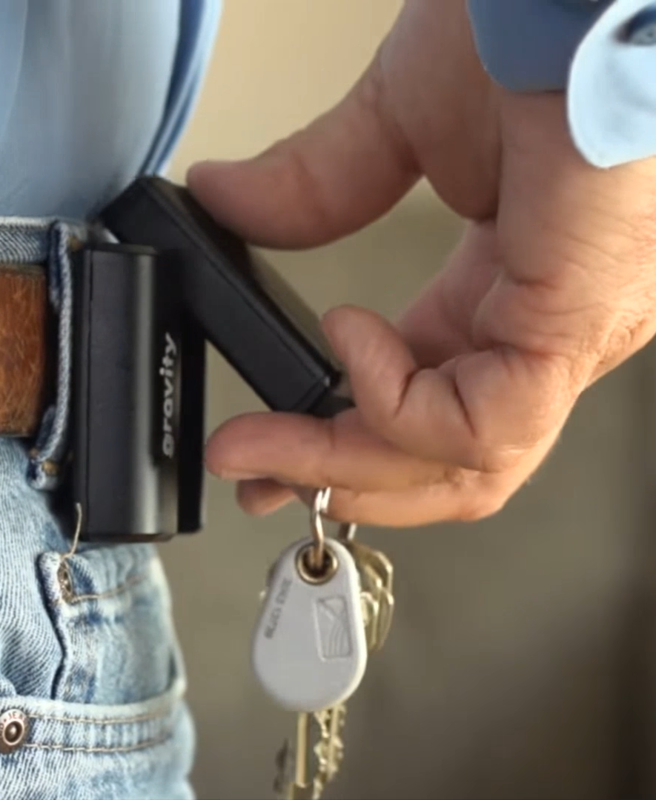 With Gravity, you can no longer lose your keys, period. Gravity closes the risk gap in current access control solutions utilized by security, janitorial and engineering employees. Gravity bolsters the safety, proper procedural and compliance initiatives implemented by the facilities management company to ensure both lives and property are protected.